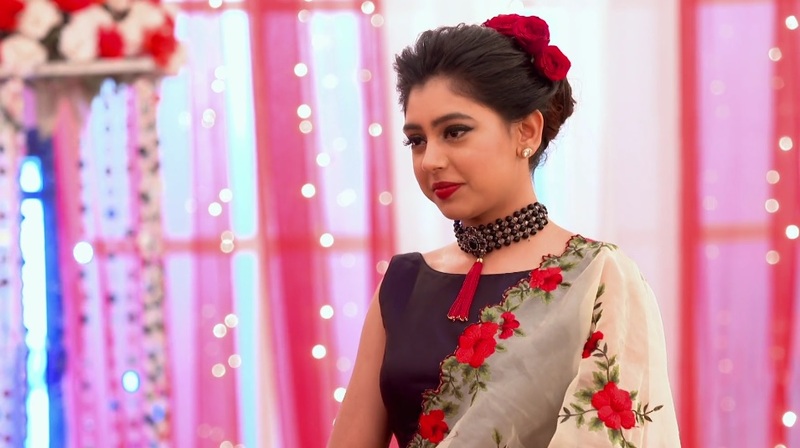 In Conversation With Niti Taylor Talking About Ishqbaaz, Kaisi Yeh Yaariaan And Her Journey So Far! From Kaisi Yeh Yaarian to Ghulaam to Ishqbaaz, how has your journey been so far on television? Your best moment and the moment that you felt could have been better. – Very very different from each serial to another. Kaisi Yeh Yaariaan (KY2) was fully youthful and it was very easy for me to portray Nandini. And yes, the singing part of it was really difficult because I’m really bad at singing. Ghulam was something totally different. A different genre altogether. Playing a girl from a village and going through so much torture – Literally I used to also torture my body so much! And then in Ishqbaaaz, this character is also very very different. Playing a normal, sweet and innocent girl is easier than any other role. But with Ishqbaaz, I am over the top. I’m so bubbly in the show. I mean I am bubbly, but not that bubbly! And then the shayaris and everything. So this is actually a challenge for me because portraying something you’re not requires lot a lot of energy and hard work. The journey has been overwhelming because KY2 gave me a break, Ghulam was a proper GEC show, which did well for me and now Ishqbaaz is on Star Plus and I really wanted to do a lead role on Star Plus. So yes, it’s a dream come true. It’s already such a big show and I hope I can fulfill what my character demands. Has there ever been a dream role for you? If yes, which one? – Yes, something like Behyadh that Jennifer Winget did. Like a psychopath and over chulbuli. Because I always really wanted to do something that’s different. In case of Ishqbaaz, Mannat throws away a lot of shayaris. And it is very tough for me to do it. And I even have a tutor coming to teach me. When I joined the show, I asked them, can I get a tutor? Because if I’m doing something then I want to be good at it. So yeah, a tutor has come for my shayari. I feel that when you are doing something you should always try to bring a change in how you are doing it. 2018 has been a great year for experimental content in movies. Badhaai ho, Andha Dhun, Raazi, have excelled expectations. Did you watch these movies and which ones among the previous year release you loved the most and why. – I just have not seen Badhaai ho, but I think Raazi and Andha Dhun would be my favorites. Raazi, because Alia Bhatt is a phenomenal actor and with Vicky Kaushal, it was outstanding. When you look at such movies, you feel like what are you doing in life?! Like, look at them! And what good concept, what good storyline, the way it is shot, the way it’s directed. Beautiful! Your favourite actor currently from Bollywood and from Indian television? – So my current favorites are Varun Dhawan and Vicky Kaushal. My favorites! And my dream came true because I met Vicky Kausal in my building (sounding excited). And I clicked a picture and I’m really really madly,…. I mean it was an OMG fan moment! When I saw him, I still can’t forget that moment. And I love these two. – From Indian television, right now, I will say Nakuul, because I’m working with him. Because of the ease that he works with, how committed he is and the way he helps me. It’s a big show already going on for 2 and a half years and to be there it is difficult. So my first few days were really a little fumbling while going through everything. But at that time he was like ‘oh no, don’t worry, do these lines like this’. It was very helpful and it’s rare for you to see such people who want your co-actor to also perform as well as they’ve been doing it. So yes, Nakuul for now. The one pleasant fan memory you had recently. – I just had recently since I met Vicky Kaushal. I was just there, I was like OMG. Then after that I was even shouting like OMG OMG. I just love VIcky Kaushal! I remember I was yelling (excited)! Last year Kaisi Yeh Yaariaan season 3 was launched. And you played Nandini again. The series was a hit again. How was it playing Nandini after 3 years and tell us about some memories of yours while shooting. – This time I think the shoot was really different for Kaisi Yeh Yaariaan Season 3. The cast and everything was new, old people though. But the energy and the vibe was very different (happy)! And I think Parth and I just nailed it! We discussed each shot and we did what was written, but we added our own thing in it! And about memories – Meherzan and we all danced in the vanity van when we all got a break. All of us together. How is it working on the sets of Ishqbaaz. It’s one of the most lavish and royal sets in the industry. Did you ever watch Ishqbaaz before? – Ishqbaaz is actually a royal set and very lavish. And I have seen a few episodes before because Ghulam and Ishqbaaz I think released around the same time. I think it only released right before us, oh of course because the same designer’s costumes used to be there for us. So I was like WOW dude! Look at their clothes, look at them, look at the set and everything! Such big things and I was just taken aback. I used to be like Woah, lucky people ya! It’s like a dream to work with them. I never in my dream thought that I’ll do Ishqbaaz (laughing happily). Nandini and Mannat – What are the qualities in both that you relate to as an actor. – Nandini, because she’s really soft-spoken and keeps thinking positive. Even Mannat is the same. She is always helping others. That’s how I am also. But there is one thing that no one knows about me. I throw really shady, bland shayaris, although Mannat’s shayaris are much better than mine (laughs). But my shayaris are like ‘tum idhar aayi, tum idhar aayi, aare lekin kyun aayi‘. Also, Mannat has one small bag, and I also carry a small bag, but I want to sort it like a bandage, an ointment, a spray if you get hurt. I have everything in my bag. Any other show except Ishqbaaz on Star Plus that you have watched lately? – I’m very Netflix and Amazon Prime video girl. So I don’t watch TV but yeah I do see Khatron Ke Khiladi. But now woh ho gaya khatam. Indian TV : 5 Shows You Must Not Miss This Week!